Let the hokey see the cokey, let the letter see the box, let the yin see the yang. Those are but a trio of some of Paddy McGuinness’ classic one liners on Take Me Out. Such lines most probably make Oscar Wilde swear and lash out in crippling envy for such wit. However while we have seen the Bon meet the Jovi on Take Me Out over the past seven years and nine series’ there is also a lot that is kept secret behind scenes. That is until now. Enter Leanne Rees, one of the shows Flirty 30’s, who is all set to feature on the ITV dating classic this Saturday, according to the Daily Star. Speaking to the Daily Star, Leanne explained pretty much everything you’ve ever wanted to know about Take Me Out. It’s filmed really quickly. There are nine episodes in the show and it’s literally filmed over nine days with one rest day. It’s a show a night. We do a rehearsal in the day then film the show in the evening with the live audience. Paddy asks about 10 of us why we turned our lights off or left them on. It’s really difficult the first round. You can only judge someone on their looks because that’s all it is. You can’t go, ‘You’re ugly,’ or, ‘You’re not my type.’ You’ve got to be nice about it because it took them a lot of guts to come down. Friday Feels… let the weekend begin ?????? We’ve gone on for a bit of a laugh and, who knows, you might come out with the man of your dreams. The funny thing is, I remember my friends saying some of the girls are quite cringey with the one-liners, but we were like, ‘The cringier the funnier!’ We were going full out cringe. Everyone is so empowered by each other. Backstage we all try and help each other out. Even when a girl gets picked, we’re all happy for her. She’s picked someone she liked. How you see us act on the show is genuine. You see how we’re feeling – and they get a little mini holiday to Fernandos. 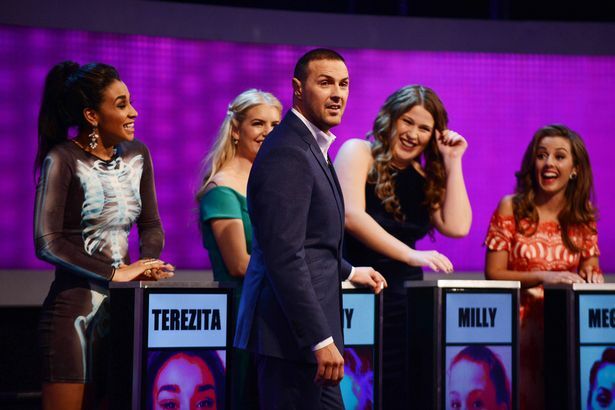 You can see Leanne on Take Me Out this Saturday at 6:45pm on ITV.